We are thrilled to have been one of the first Forest Nursery Schools in Liverpool. Each Monday we venture out until mid afternoon. The children enjoy listening to stories around the fire, they learn to risk assess potential hazards and discuss the dangers of fire and understand the importance of not crossing the fire circle. 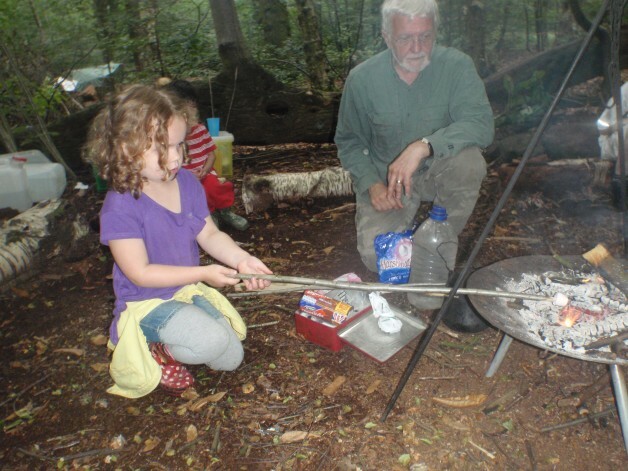 The children toast marshmallows, enjoy building dens and playing games. Forest School has been an invaluable learning experience. Miss Lisa is our Forest School leader, and this term has extended our time in the forest, the children now eat their lunch there too! Leonardo has started reception this September and his teachers say he is very advanced for his age, having excellent skills at maths and letters. We believe this is due to the great work done at Bluebell Nursery! Bluebell has given him very good foundations both to his character (outgoing and loves to help) as well as his learning skills. Thank you for everything, from very happy parents.